Nobody wants to be caught short, and if you have kids then you live in constant fear that they’ll need to use the toilet when there is none to be found. You don’t know real fear until that moment of realization that your child needs to use the facilities but there are none to speak of. Terrifying doesn’t do it justice. 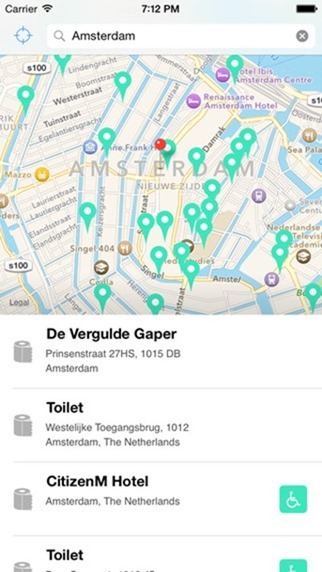 So, apps like Flush Toilet Finder can be real lifesavers, and when they’re free then you really have no good reason not to have them in your arsenal of apps. 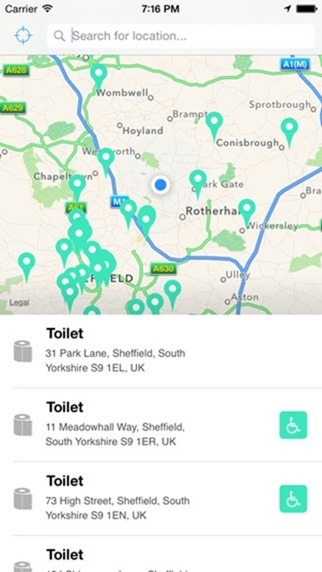 In the case of Flush Toilet Finder, the app even looks lovely and works like a treat. 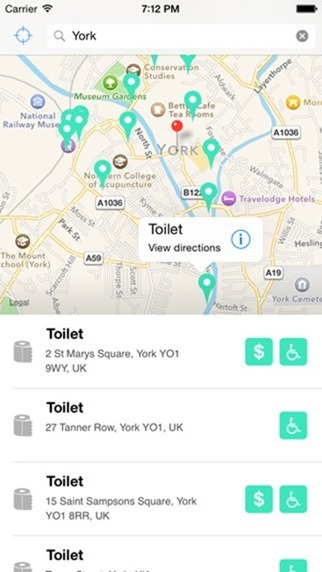 Created by Sam and Jake Ruston – who worked on the Android and iPhone versions of the apps, respectively – Flush Toilet Finder has a database of over 100,000 public restrooms around the globe, with more being added constantly. Once the app has found one close enough for you to make a mad dash before anything unfortunate happens, directions can be automatically loaded in either Google Maps or Apple Maps depending on whether you’re using an iPhone or something running Android. What’s even more impressive though is that the app will tell you all the really important facts such as whether the restroom is free to use, if it offers disabled access and whether you’ll need to find a key before you can get in. There’s nothing worse then making your way to a toilet only to find that you need to pay and don’t have any cash on you. Now you can make an informed choice before you set off! 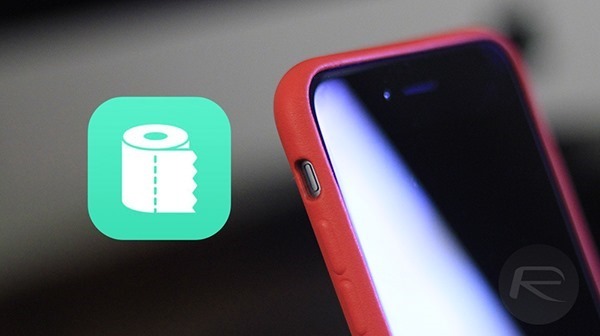 Apps like Flush Toilet Finder are the reason we carry smartphones around with us. They make life better when we need them, and they really offer something dumb phones can’t. Download it now, especially if you have kids! Public toilets, here I come! Ummm, why must I travel 87 miles for one? An absolutely must-have app for anyone with Crones disease.